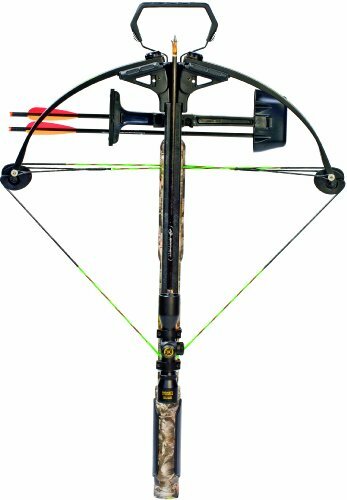 The popularity of the crossbow has grown over the years and we now have companies developing crossbows that vary in specs, shapes and sizes. 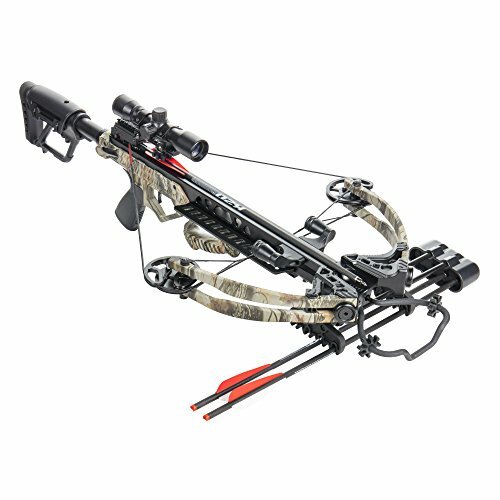 It’s normal to find people looking for crossbows that have more features, and it has become increasing difficult to find the one that is worth the money. But one thing you should know is that the more features a crossbow has, the more expensive it is likely to be. 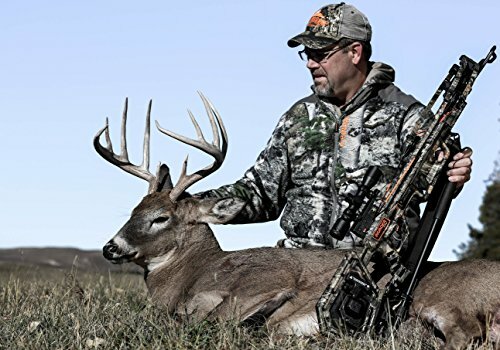 We’ve done research on the specs, customer reviews and price range of the countless crossbows out there, and we’ve come up with the top ten best that will fit almost any kind of budget. 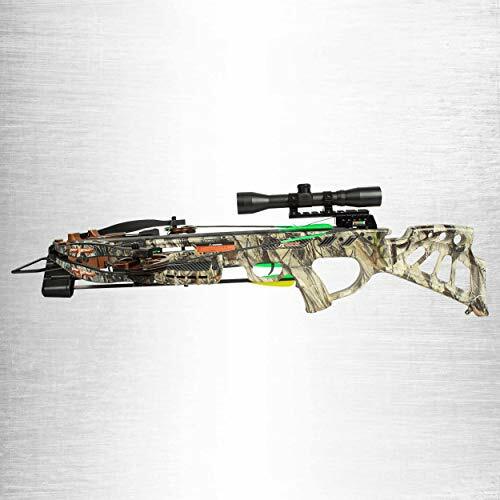 Read carefully, as these reviews will help you choose the right crossbow. The best crossbow is only as good as its bolts. So be sure to check out our review of the 10 best crossbow bolts. Like bows, crossbows also have a curved shape, but differ from the bow from the way it is used. A crossbow is attached to a wooden frame called a stock that holds arrows in position whereas the catch holds the string. They each have their various advantages and disadvantages. 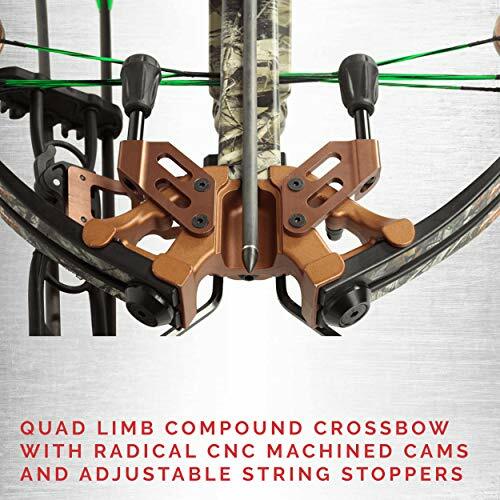 Compound crossbows have shorter limbs and are easier to handle. Recurve have their limbs facing away from the shooter and the cocking mechanism makes it easier for the user to draw. 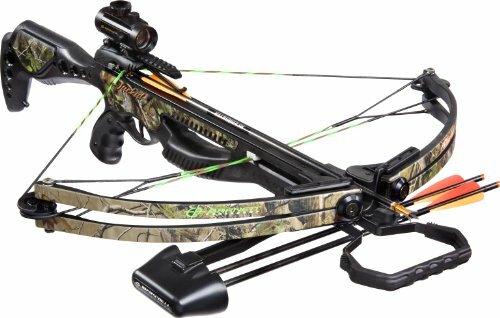 This is another crossbow that is perfect for beginners and for people with a tight budget. From a firing range of 20-30 yards backed with a speed of 235 fps and a draw weight of 175 pounds, you can take down a deer. Even if it is not a perfect tool for hunting, you can still excel with it in target practice. 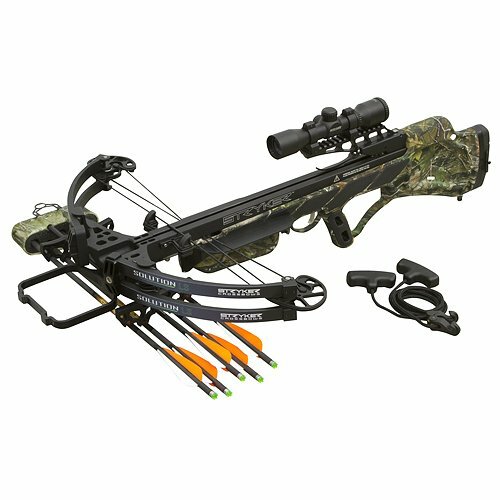 The other excellent features it has for a crossbow with a price under $200; it has a 3 red dot sight, its lightweight, 4×16 aluminum arrows, anti-dry mechanism, padded sling, rope cocker and a thumb guard for protection. 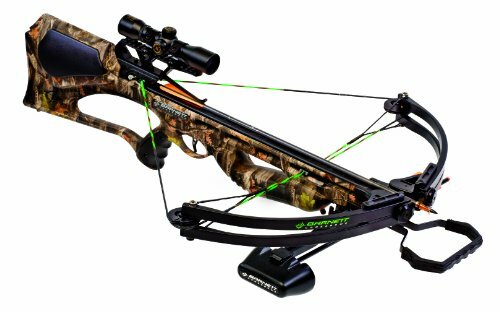 If you just started hunting and need something really affordable, then the CenterPoint Sniper will be the right choice for you. While using a 450-grain projectile it can boast of a speed up to 370 fps. 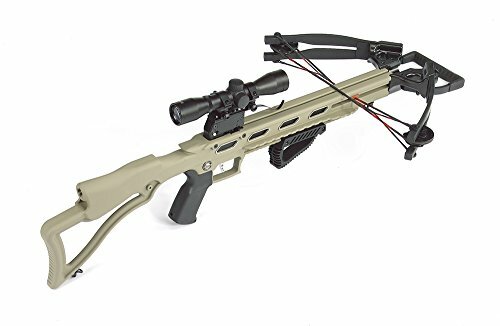 The Sniper comes packed with a cocking rope, a removable 4×32 multi-reticle scope and a 20″ carbon bolts quiver, rope cocker, and shoulder sling. 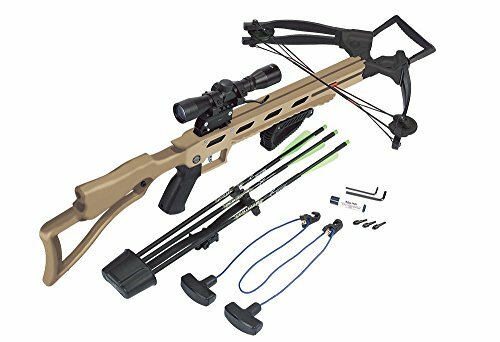 Another plus for the Sniper is its lightweight and slim design, these will come in handy when hunting in tighter quarters as opposed to the larger crossbows. 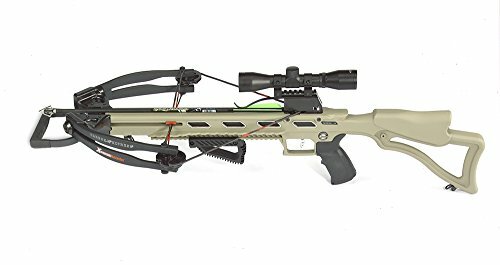 The Sniper also provides a stable firing platform with the way the pistol grip and trigger are positioned forward which means the weight of the crossbow I back against your shoulder. It also integrates a cheek rest on its stock to allow for more stabilized shots. It might not be the quietest crossbow around, the string that helps reduce vibration certainly doesnât make it the loudest. The cocking rope helps cut the draw weight in half (185 lbs.) making it quite easy to draw by almost anybody. 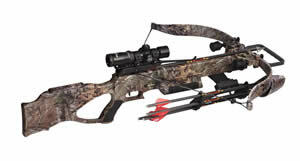 For its price the Sniper is not yet done with features, it also has three field points, three twenty carbon arrows and a tube of rail lubricant. 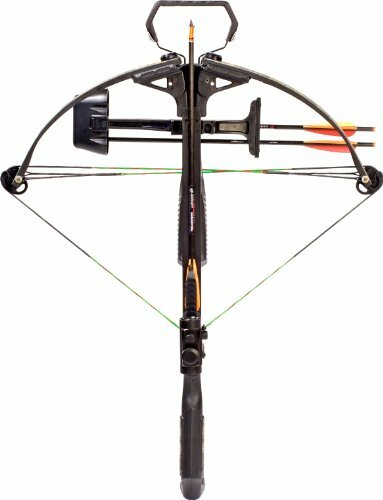 This crossbow generates a speed of up to 315 fps with kinetic energy of over 91 ft. lbs., it will be great for taking down games at a fair distance. It has a rifle-like stock with silencer coating which allows for stealth and comfort when hunting. 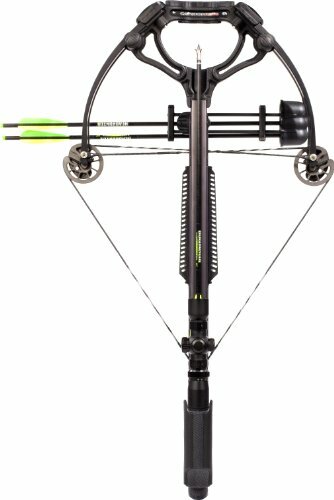 You don’t have to worry about looking for game and at the same time worrying about the weight of your crossbow, as this crossbow with its one-piece skeletal frame is lightweight, and allows you to carry it easily and for better balance. 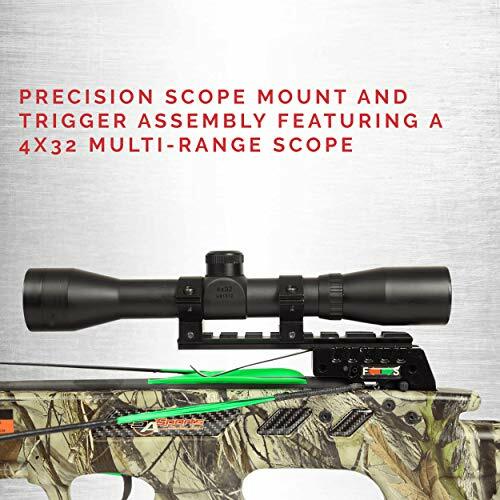 It also comes fully packed with a 4 x 32 multi-reticle scope for easy sighting, and a rope cocker, 3 arrow quiver, 3 crossbolts, rail lubricants and an adjustable forearm which adapts to any shooting style for customized fit. 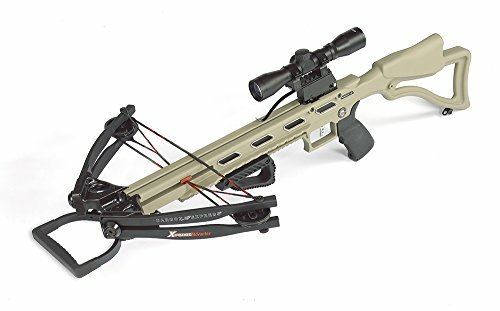 This crossbow is perfect for beginners. It has a draw weight of 150 lbs., with a 315 fps speed, and these allows it easy for use in target practice. 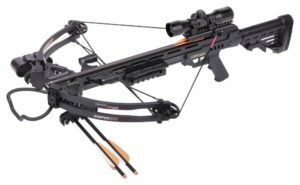 Within 10-15 minutes you’ve already assembled this crossbow and be on your way to the hunting ground. It is quiet affordable with a price range of less than $300. It is elegantly designed for those who are concerned with how good an equipment looks. It also features an automatic safety that prevents dry firing. The high quality materials used for its production ensures its durability. It also comes fully packed with 3 arrows, 3.5 lbs. trigger pull, a red dot sight, a tube of wax and a quick detachable quiver. Weighing a good 7.7 pounds it ensures more balance and a more accurate shot. 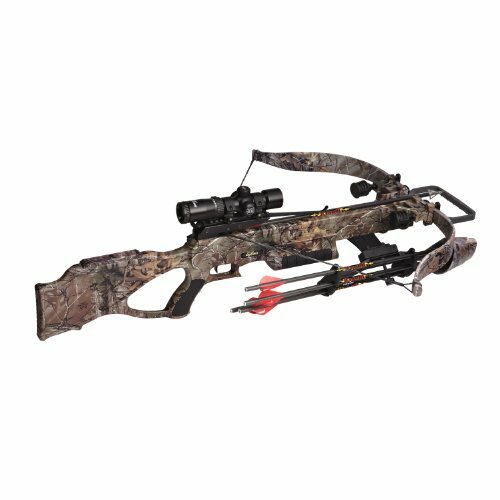 This magnificent crossbow comes with a 4×32 multi-reticle scope with poor light gathering capabilities but it this not stop it from picking targets quickly and easily, and it is durable even when used in harsh conditions. The speed is top-notch, it can fire arrows at a blistering 360 fps, with 115 ft. lbs. of kinetic energy supporting each shot. 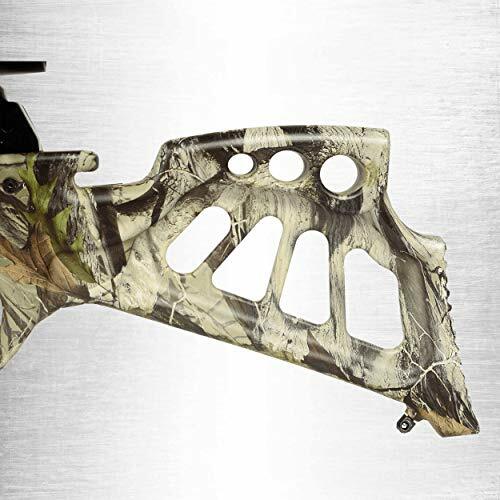 The machined aluminum and adjustable string stoppers help dampen vibration and noise making it one of the quietest crossbows in the market. You won’t develop a headache from assembling Beowulf, the process is pretty straight forward from installing the cable slide to fixing the scope, all in a few minutes. It comes with a 1-year limited warranty which is obviously short for a crossbow but the quality definitely covers up for this flaw. Other amazing features to be considered are; its lightweight, has 3 carbon bolts (20âl. ), Picatinny rail, anti-dry mechanism and 175 pound draw weight. The Barnett Quad 400 weighs 9.8 lbs. so you will have no problem carrying it around on hunting activities. It also boast of a 345 fps speed with a draw weight of 150 pounds and 112-feet pounds of energy. With such speed and power, there are more chances of taking down a large animal. If you are the type that want to try a compound crossbow without putting a hole in your pocket. 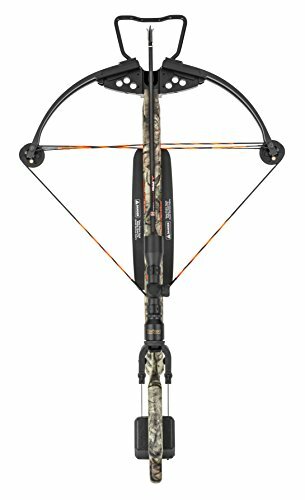 Some of its other notable features include a 4 x 32 multi-reticle scope, 3 arrows 22-inch each, 3 arrow quiver and the high-quality material ensures for its durability. Ever heard of a crossbow firing without an arrow attached to it, the Wicked Ridge Invader G3 has a Dry-Fire-Inhibitor which will prevent it from firing without an arrow. It weighs 6.6 lbs., with a draw weight of 165 pounds and has a 19-inch axle-to-axle cocking. It also fires at a speed of 330 fps and can take out animals from a fair distance. 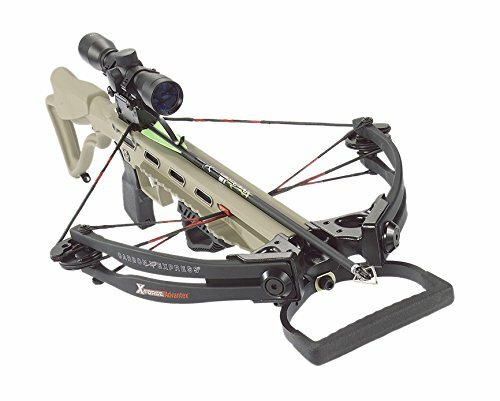 This crossbow that is one of the best under $500 can proudly say it has the industry’s quietest and smoothest trigger mechanism (3.5 pound T2 Trigger). 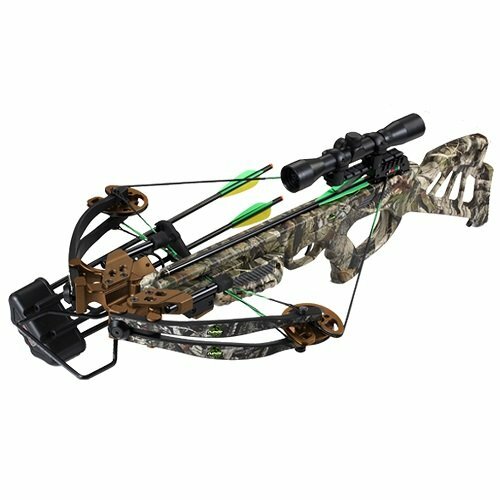 This excellent crossbow has a draw weight of 155 pounds, but makes up for this with a power of 15.5â, which enables it put a lot of power behind the arrow before it leaves the rail. The speed at which the arrows leave the crossbow is at 360 fps, with a stunning kinetic energy of 135 ft. lbs., this is has enough power to take down a fairly large game. Its lightweight and slim frame makes it, very easy to carry around. 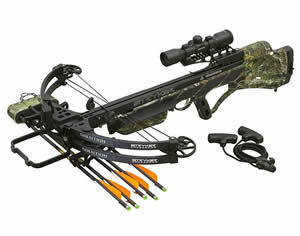 Quick and easy does it for this crossbow when it comes to assembling it, within few minutes you will be ready to hunt. Though it is next to useless during low light conditions, the multi-reticle scope has a decent quality and sights very easily and stays true for long periods. 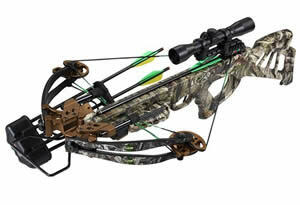 It also comes packed with 5 385-grain arrows, 5 arrow quiver, sting stops, anti-dry mechanism and cocking aid. 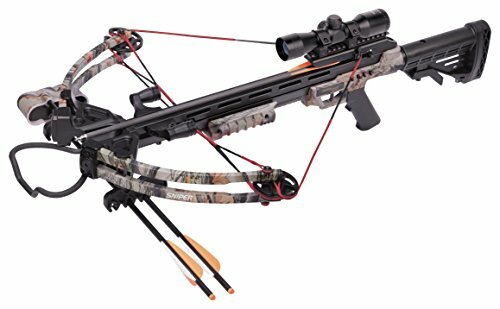 Everything about this crossbow will leave you saying “wow” repeatedly, for a crossbow that boast of the fastest speed of 410 fps with 149 ft. lbs. of kinetic energy, and you won’t even spend a fortune (around $850) to get it. The manual explains how to assemble this crossbow making the whole process a lot easier. 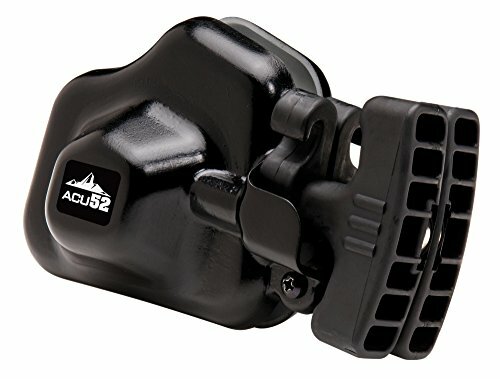 It also includes a premium illuminated 3 x 3 scope that comes already installed, a rope cocking device, a talon sling, 3 arrows and a quiver. 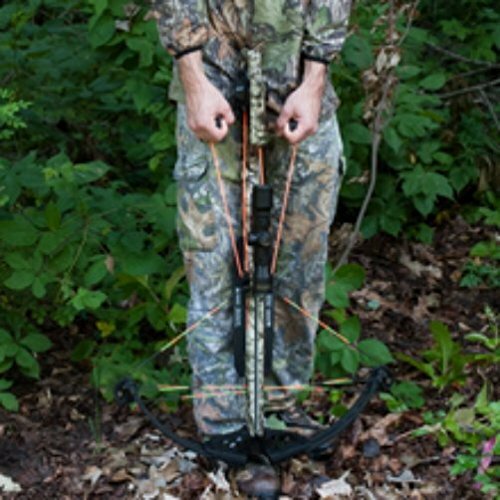 It is lightweight (7.3 pounds) making it easy to carry around on hunting trips. It also has a draw weight of 180 pounds. One thing that gets me smiling when I see this crossbow, is the lifetime warranty card that comes with it, âmy god!â what were they thinking. 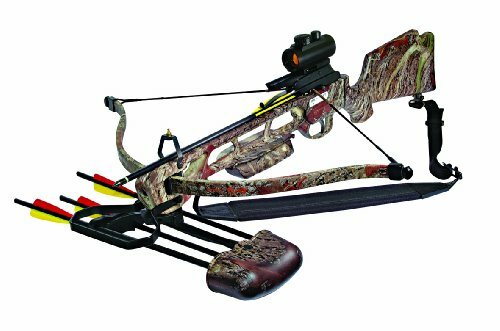 This nice recurve crossbow can stand in the leagues of speedsters, with a tremendous speed of 380 fps and draw weight of 260 pounds, with the speed and power combined, the animal wonât even stand a chance. My excitement increases as I remember how it comes fully packed with 4 bolts, 4 arrow quiver, high-quality tact zone scope, 4 field points and instructions on how to assemble. The Price: The price of any product should be the first thing to consider when making the final decision. 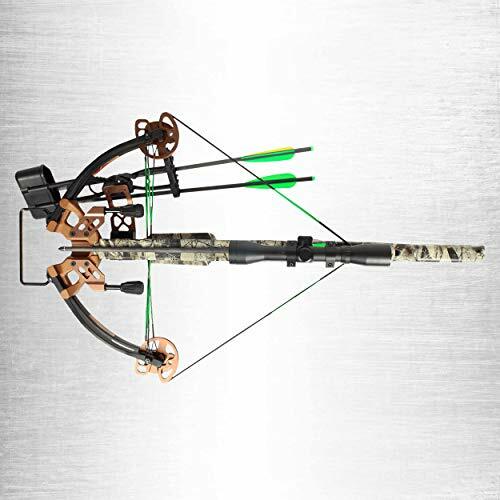 Check your budget and see what kind of crossbows will fit right in. 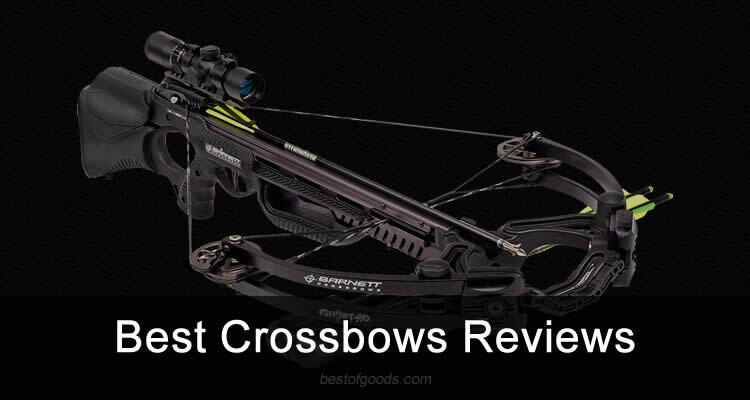 In this review we covered crossbows with various price range and user experience. There is surely one for you. The Features: Crossbows come in with different features and sizes. 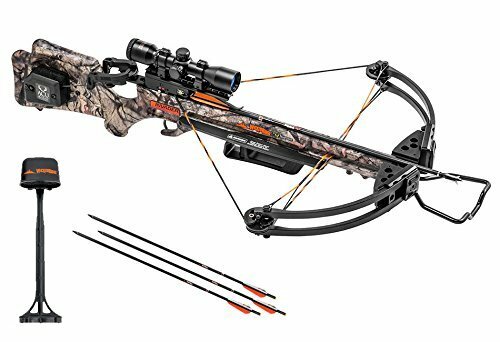 But the specs to look out for are: crossbows with little noise, go for lightweight for easy carriage, the draw weight: the higher draw value, the faster the arrow speed and also look for a crossbow with tremendous speed. The Brand: Look for brands with good reviews and ratings. Read various reviews online to discover the top brands in the market. Return Policies: Return policies ensure that you can return defective product or the ones that don’t meet up to standard. Make sure to look for the manufacturers that offer good return policies. The above are the best crossbows in the market, they vary in sizes, features and prices. 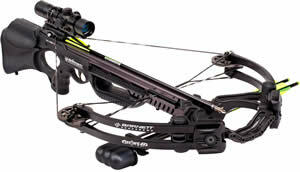 Compare the features listed in our review to get the perfect crossbow youâve been searching for. Happy hunting!